“To honour the outstanding Corporates, Professionals, Celebrities and Foundations in the many and varied fields of Philanthropy in Africa”. 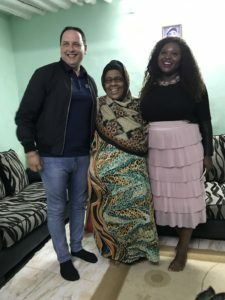 Mzee Mohamed, Pennyroyal Government and Community Liasion; Shaleen Manhire, African Leaders 4 Change; Tia Egglestone, CSR Program Manager; Eric Nullens, African Leaders 4 Change. Pennyroyal Zanzibar and the Best of Zanzibar are pleased to welcome Shaleen Manhire and Eric Nullens from African Leaders 4 Change to the island, to showcase our community programs as a potential short-listed candidate for the 1st Annual African Leaders 4 Change Honorary awards to be held on 21 September 2017 in Johannesburg, South Africa. The awards ceremony will be hosted by Akon and will broadcast over 15 channels across the African continent. The African Leaders 4 Change Honorary Awards focuses on Corporate Social Responsibility (CSR) initiatives and other community development programs that are changing African lives, and showcasing these programs for significant public recognition in order to facilitate additional sponsors and link like-minded development initiatives to keep the business sectors engaged in social development. 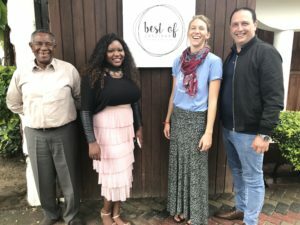 The Best of Zanzibar is honoured to be considered as a potential short-lister for these awards, and we appreciate the time from Eric and Shaleen to visit our island, our projects and our pride as Best of Zanzibar implements community development programs and pilot project island-wide in Zanzibar. Best of Zanzibar community development programs include the construction of a public road to facilitate access for the communities; a baseline study to quantifiably determine the community challenges; a presidential public pledge to sponsor a music and arts academy in the north of the island; a sanitation education program for primary and secondary school students and teachers; an English and maths tutoring program for secondary school students; a beach clean-up program for environmental sustainability; construction of three police stations in Zanzibar to increase safety; renovation of a Disabled Children’s Community center and wheelchair donation; and provision of employment opportunities. 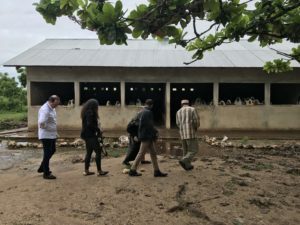 These are but a few of the programs Best of Zanzibar is actively pursuing. Additional programs still in planning and research stages includes provision of electrical and water services to the communities; provides a nutrition program for primary and secondary school students; implementation of an English-medium Teacher Training Certificate program; opportunities for tertiary education scholarships; environmental protection programs; and vocational training centers. This is some of Best of Zanzibar’s work being recognized by the African Leaders 4 Change organization. With this recognition, Best of Zanzibar can better serve Zanzibar communities, to make Zanzibar the Best that it can be. Kampuni ya Pennyroyal Zanzibar kupitia tawi lake la Best of Zanzibar inafuraha kubwa ya kuwakaribisha katika kisiwa cha Unguja, Bi. Sheleen Manhire na Bw. Eric Nullens wanaotoka katika taasisi ya African Leaders 4 Change. 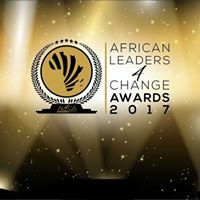 Best of Zanzibar itawaonyesha wageni hawa kazi mbali mbali iliyofanya kwenye jamii ili kupata nafasi ya kuingia kwenye mchuwano wa tuzo ya Annual African Leaders 4 Change Honorary awards itakayofanyika tarehe 21 Septemba 2017 jijini Johannesburg Afrika Kusini. African Leaders 4 Change Honorary Awards imeanzishwa kwa ajili ya kutambua kazi mbali mbali zinazosaidia jamii kupitia mashirika na watu binafsi. 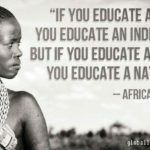 Sherehe hizo zitaendeshw na msaani maarufu Akon na kurushwa kwenye vituo zaidi ya 15 vya luninga barani Afrika. Lengo kuu la tunzo za African Leaders 4 Change Honorary Awards ni kutambua kazi za kijamii na programu za kimaendeleo zinazobadilisha Maisha ya Mwafrika na kuunganisha watu/ taasisi wenye mawazo sawa ya kuendeleza jamii zao kwa lengo la kukuza jitihada zao. Best of Zanzibar inayo furaha kubwa kupata nafasi ya kuingia kwenye mchuwano wa tuzo hizo, na kuwaonyesha Bi. Shaleen na Bw. Eric miradi yetu mbali mbali inayosaidia jamii inayo tuzunguka. Miradi ilyokamilishwa na Best of Zanzibar ni: ujenzi wa barabara, ahadi mbele ya Raisi Dr. Shein kujenga chuo cha muziki na Sanaa kaskazini mwa kisiwa hicho, mafunzo ya afya na usafi wa mazingira katika shule za Kijini na Mbuyu Tende, mafunzo ya zianda ya Kingereza na hisabati kwa nwanafunzi wa sekondari, ujenzi wa vituo vitatu vya Polisi kwa ajili ya kuongeza usalama Zanzibar, ukarabati wa kituo cha walemavu na kununua viti vya walemavu, uzalishaji wa ajira kwa Wazanzibari. 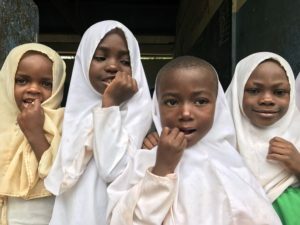 Hiyo ni baadhi tu ya miradi iliyofanywa na Best of Zanzibar, lakini miradi mingi iko njiani kutekelezwa, kama kusaidia umeme na maji kwa jamii, huduma za lishe kwa wanafunzi wa msingi na sekondari, mafunzo ya kiingereza kwa walimu, ufadhili wa masomo elimu ya juu, mradi wa kutunza mazingira na kituo cha mafunzo ya amali. Tunaamini kwa kutambuliwa na taasisi ya African Leaders 4 Change, Best of Zanzibar itaongeza juhudi za kuisaidia Zanzibar.